I don’t usually do this, but I begged him, “Oh, please, come with Geri Lynn and me; I want to see Cesar Millan. Don’t you want to meet him in person instead of simply watching him on TV performing his miraculous, dog behavior modifications?” After a lot of arm twisting, Gary reluctantly agreed to join us. When we entered the large exhibition hall at the Bell Harbor Conference Center in downtown Seattle, I immediately saw Cesar Millan. He was surrounded by dozens of people who waited in line for their turn to meet and ask him questions. There was no way that we were going to get close to him, so we decided to head down the aisle where all of the rescued dogs were lined up inside a variety of kennels. “Where do these dogs come from?” I asked. “Death Row Dogs?” I inquired. “Yes. Rudy is one of those dogs. He was just a day away from being euthanized and was lucky that Ginger’s Pet Rescue arrived just in time. Ginger transported these two dozen dogs up to Washington with the hope that she would be able to find a loving family for each one of them,” she explained. Gary was beginning to walk away, so I quickly asked the volunteer to take Rudy out of his crate. Geri Lynn and I ran after Gary with Rudy cradled in my arms. “Please Uncle Gary, just hold Rudy and you’ll see what a sweet dog he is,” Geri Lynn said, trying to persuade him by using her sweetest voice. The rest is history. Rudy locked eyes with Gary’s and it was love at first sight! Anyone who knows my cousin Gary will agree that he is one guy who has everything, including all of the best golf equipment anyone could ever hope for. Unfortunately, this story is only about one lucky dog. There are so many other dogs that won’t have a happy ending like Rudy’s. We must, however, rejoice in the dogs we are able to save. This is typically how dog rescue works – we save only one dog’s life at a time, but if more people become active in the rescue effort, it turns into many saved lives. In my rubber stamp collection, there is a stamp that says, “EVERY DOG NEEDS A HOME AND EVERY HOME NEEDS A DOG.” My hope is that this will become a reality. Maybe, someday it will. My heartfelt thanks to Ginger’s Pet Rescue and other animal welfare organizations like it for fighting against animal cruelty and doing the difficult work of rescuing and bringing animals to safety. 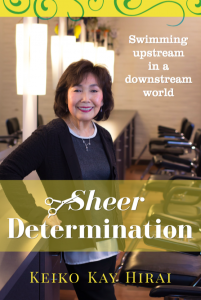 Kay Hirai is the author of Yumi’s Life Lessons. 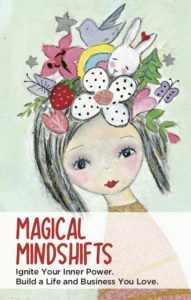 She hopes that her book will help to encourage the humane treatment of animals and motivate others to help animals that are desperately in need of a home, attention, and most importantly, love. 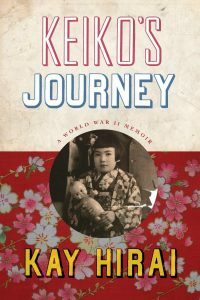 To support Kay’s ongoing commitment, a portion of the proceeds from each book sold will be donated to various organizations that support the welfare of animals. To date, Kay has donated over $7,000. to help animals through the sale of her books. 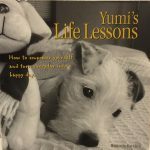 Yumi’s Life Lessons can be purchased at Kay’s salon, Studio 904, on Mercer Island; at Amazon; and at Chin Music Press. How do you feel about rescuing dogs and animals? Do you have any stories to share? I would love to hear from you. Thank you Kay for working for the rescue of dogs. They are truly our companions here! Donna, thank you for making a comment on Rudy’s story. Yes, the work of rescuing abused animals is never-ending and heart-breaking work. 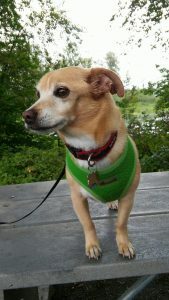 I hope the readers of this story will support the rescue organizations such as Pasado’s, Ginger’s Pet Rescue, The Old Dog Haven, Seattle Humane Society, Paws, and many others out there who are making a difference.